Northern California Winter Steelhead | California Trout, Inc.
Northern California winter steelhead are in a state of long-term decline over much of their range due to land use practices that reduce habitat for juveniles, such as diversions that desiccate nursery tributaries during summer months. 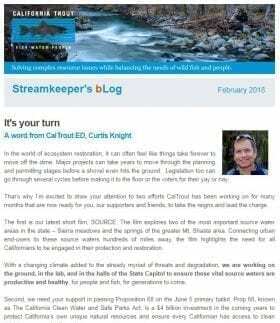 While the Level of Concern for Northern California (NC) winter steelhead has remained the same since 2008, the latest research indicates that they are now more susceptible to climate change impacts and are vulnerable to anthropogenic threats. Scroll down for more information about the NC winter steelhead. 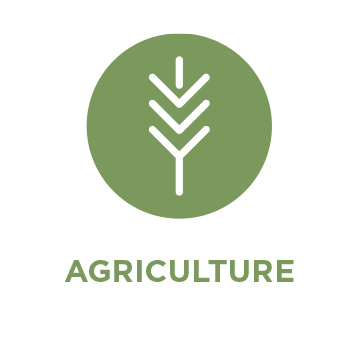 To read the full species account, click here. 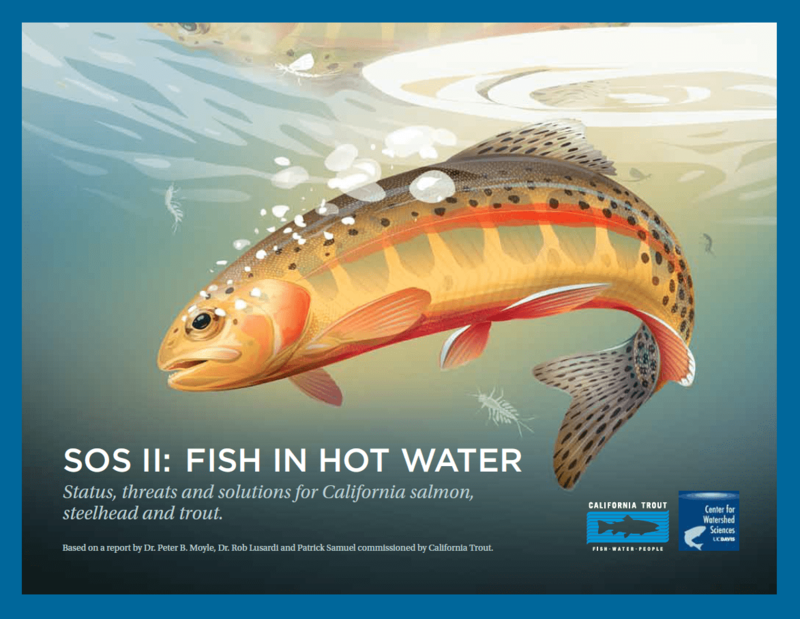 NC steelhead are larger, on average, than steelhead from other watersheds in California. in general, coastal steelhead in smaller, slower coastal rivers are deeper-bodied, longer, and more robust than steelhead from larger inland rivers. 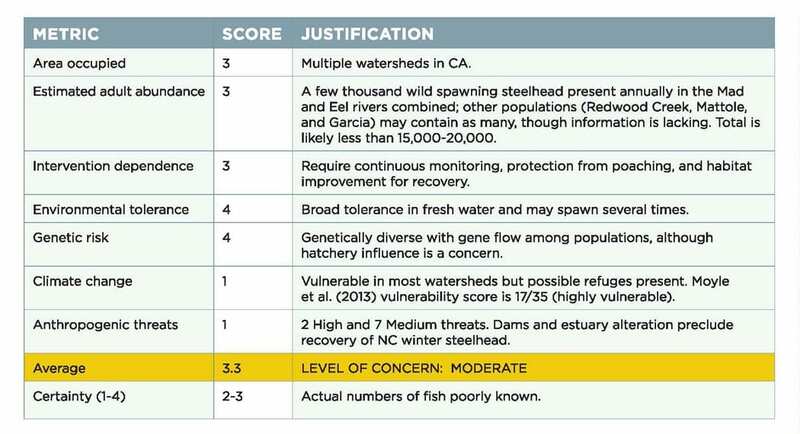 Reliable estimates of NC winter steelhead numbers are lacking because high, turbid flows during migration and spawning periods make safe, reliable sampling impractical. Historically, it is likely that about 200,000 adults returned to spawn in NC steelhead watersheds annually. 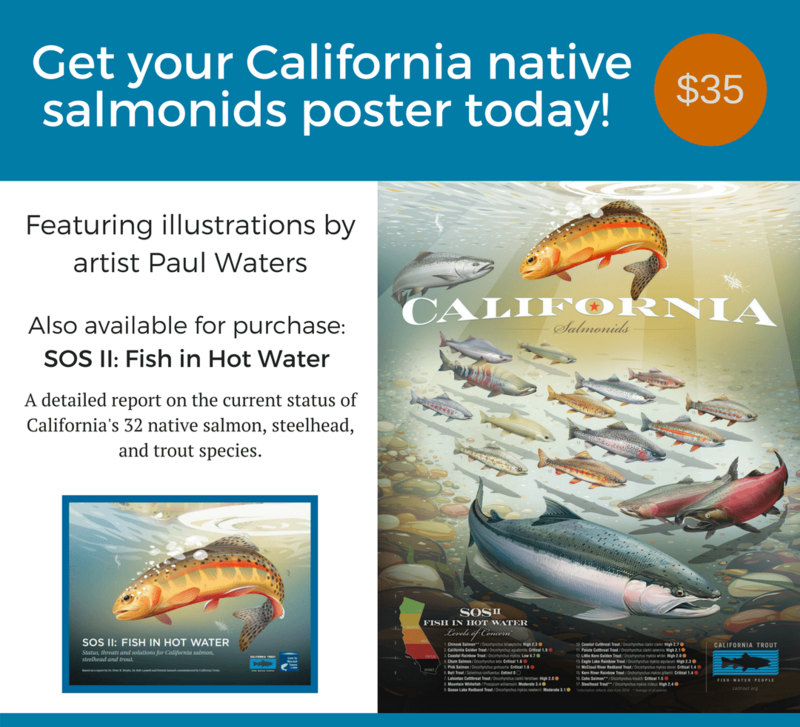 Optimistically, annual adult returns today are likely less than 20,000 fish. NC winter steelhead generally enter estuaries and rivers between September and March, with spawning peaking between December and early April. 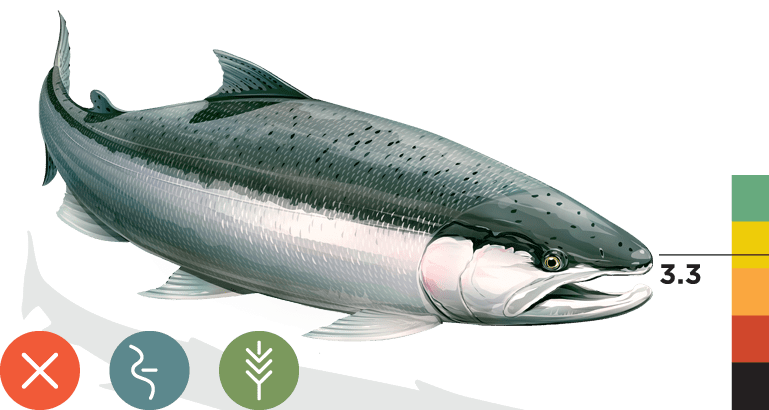 These steelhead are sexually mature when they arrive at spawning areas, usually after spending two years in freshwater and one year growing at sea. 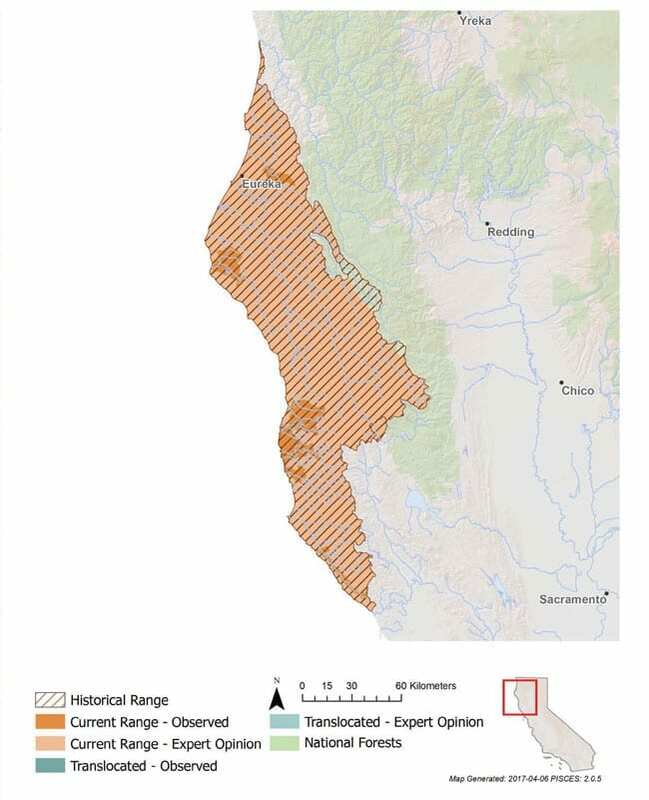 in relatively small coastal watersheds in Mendocino County, many steelhead enjoy a high likelihood of repeat spawning potential due to their relatively short migrations. 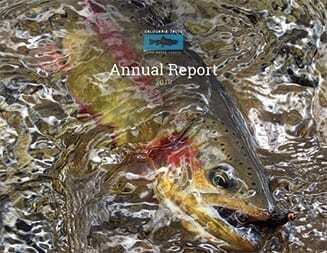 Most NC steelhead that live to spawn many times are females, and they may account for a significant proportion of returning adults in a given year, depending on the stream. Females can lay between 200 and 12,000 eggs, depending on their size and condition, before migrating back to the ocean by May. Newly emerged steelhead school together and seek shallow waters with gentle currents to grow, while older juveniles maintain territories in faster water and in pool habitats. Juveniles smolt in early spring and migrate to estuaries or the ocean between March and June. Some juvenile steelhead rely on estuaries for rich feeding and growth opportunities, increasing their chances of survival at sea. The NC steelhead populations show some genetic influence from KMP steelhead. 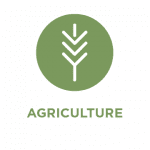 Within the Eel River watershed, there are significant genetic differences between resident Rainbow trout upstream of natural barriers in headwater tributaries and steelhead downstream. 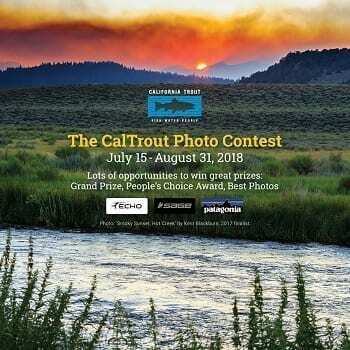 The NC steelhead DPS includes all naturally spawning populations in California coastal river basins from Redwood Creek (Humboldt County) to the Gualala River (Mendocino County). 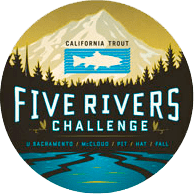 This distribution includes the Eel River, the third largest watershed in California, with its four forks (North, Middle, South, and Van Duzen) and their extensive tributaries. NC steelhead are present today wherever streams are accessible to the ocean and sufficient flows and cool water exist. Some water bodies with no recent direct access to the ocean, such as Big and Stone lagoons in Humboldt County, also contain steelhead, although the source of these fish is unknown. 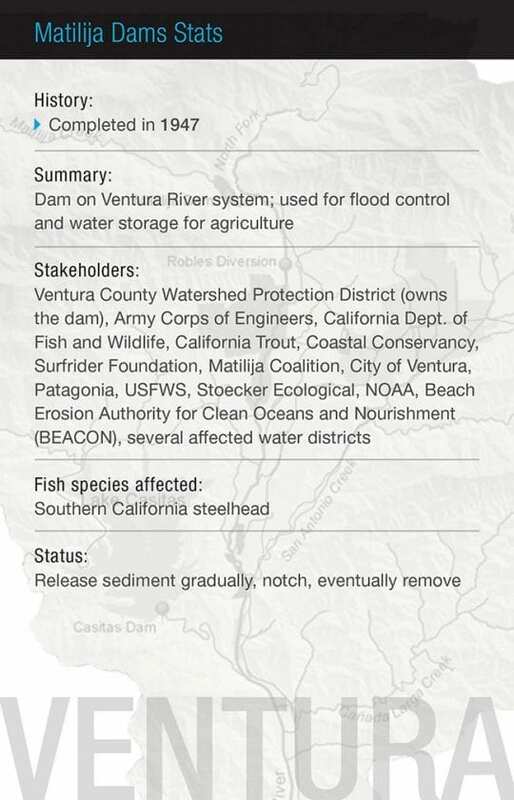 Implement a statewide steelhead restoration and management plan that identifies specific actions to restore and manage steelhead populations and maintain diversity in California. 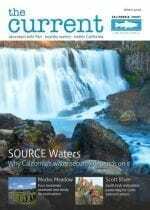 Protect life history diversity at relevant ecological scales to maintain wild steelhead. 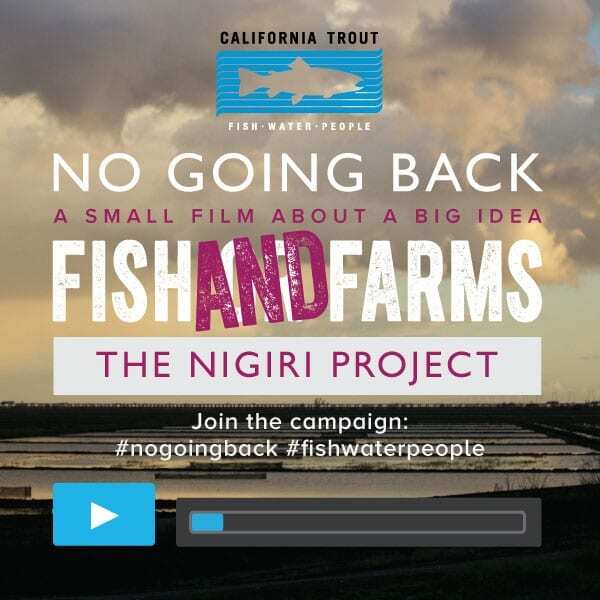 Begin large-scale restoration of the Eel River through the Eel River Action Plan, including dam removal, estuary restoration, and instream habitat enhancement. 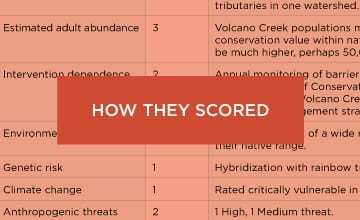 Implement the Mad River Hatchery Genetic Management Plan (2016) to reduce negative impacts of hatchery fish on remaining wild fish. Secure water for fish, and reduce diversions for other uses throughout the DPS range. 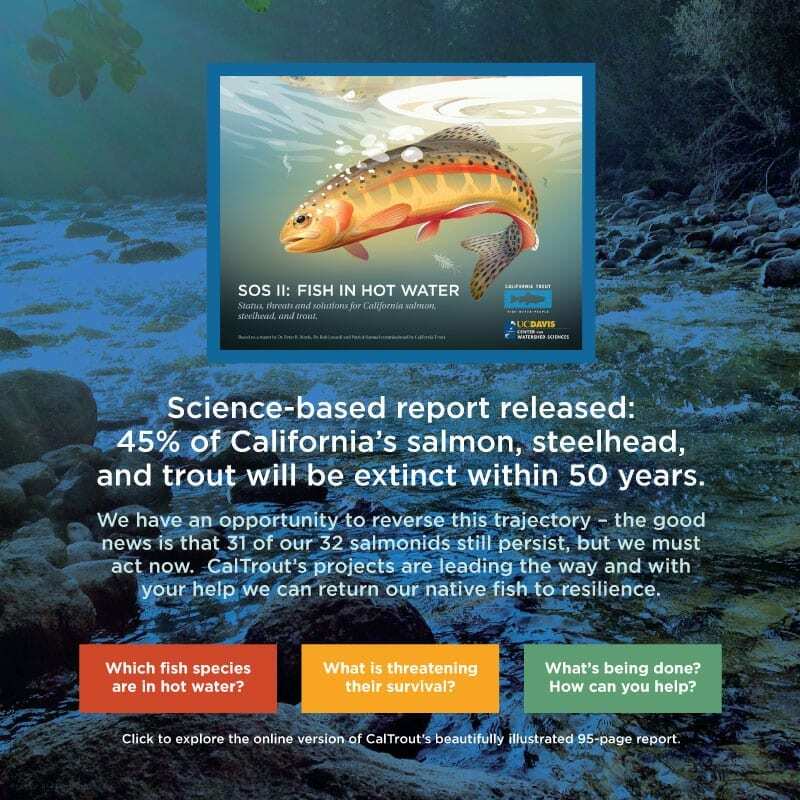 Click here to learn about CalTrout’s overall “Return to Resilience” plan to save California’s salmonids from extinction. NC winter steelhead are highly vulnerable to climate change due to juvenile reliance on small, headwater tributaries for nursery habitat. 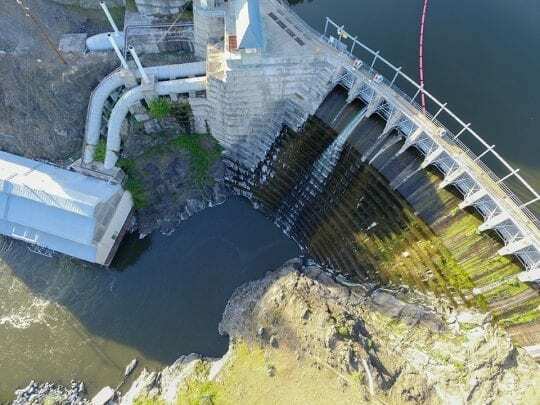 Reductions in suitable coldwater are also expected to result in local extirpations and range contractions for NC steelhead, as higher gradient headwater streams that could provide refuge are inaccessible behind waterfalls, boulder fields, or dams. 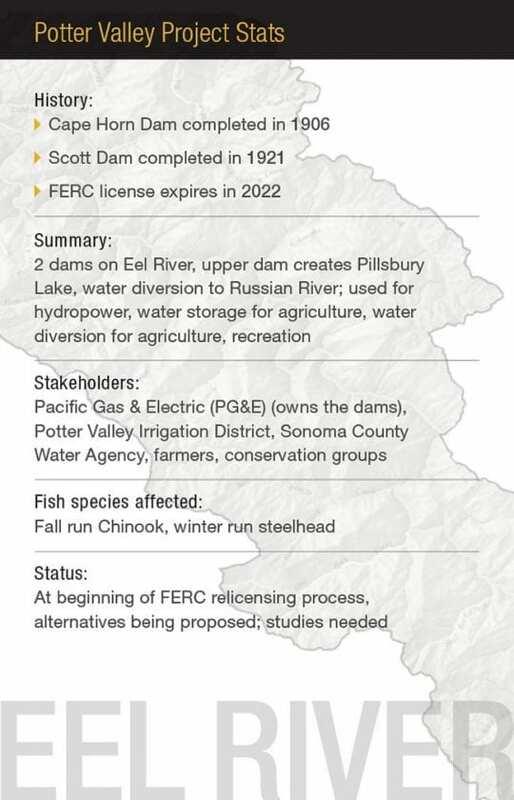 Scott Dam on the Eel River blocks access to an estimated 290 km (180 mi.) 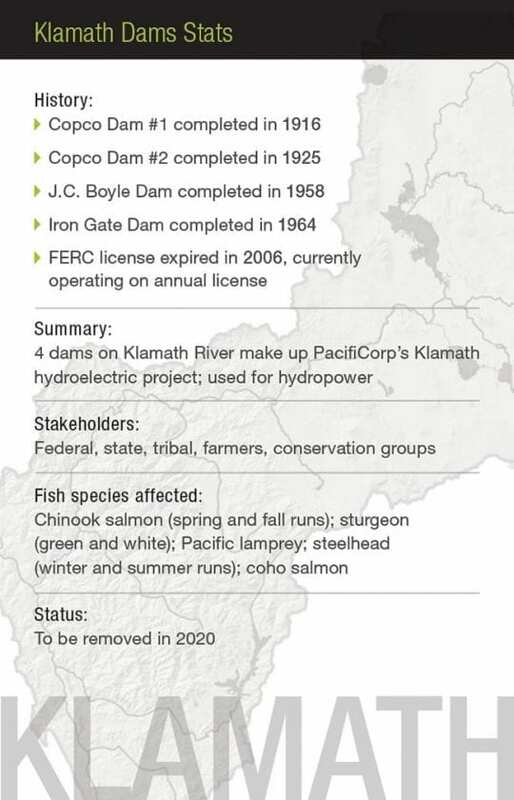 of potential habitat, while Matthews Damon the Mad River blocks nearly a third of historical steelhead habitat. 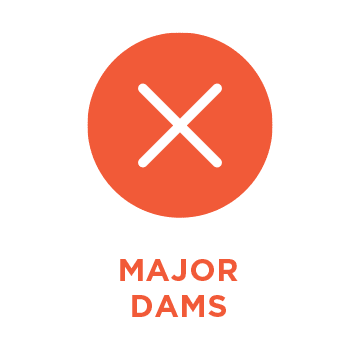 In addition, these dams reduce streamflows during important migration windows for adult and juvenile steelhead. 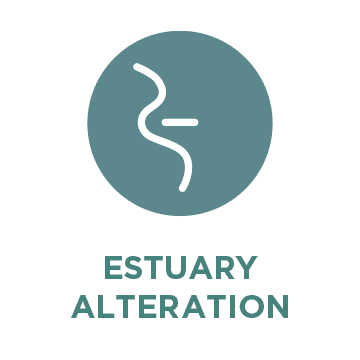 The estuaries of the Eel and Mad rivers and Redwood Creek have been leveed, armored with structures, drained, altered by tide gates, and converted for agricultural and rural development, greatly reducing juvenile nursery habitat. 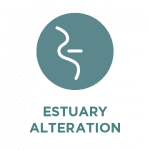 What suitable estuarine habitat remains is subject to high turbidity, poor water quality, and sedimentation from runoff. 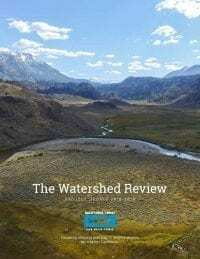 In the past two decades, illegal water diversions and subsequent habitat degradation of remote headwater streams for marijuana cultivation has become perhaps the most important limiting factor for juvenile steelhead survival in natal streams.